Updated on November 14, 2016 to include the latest available information. 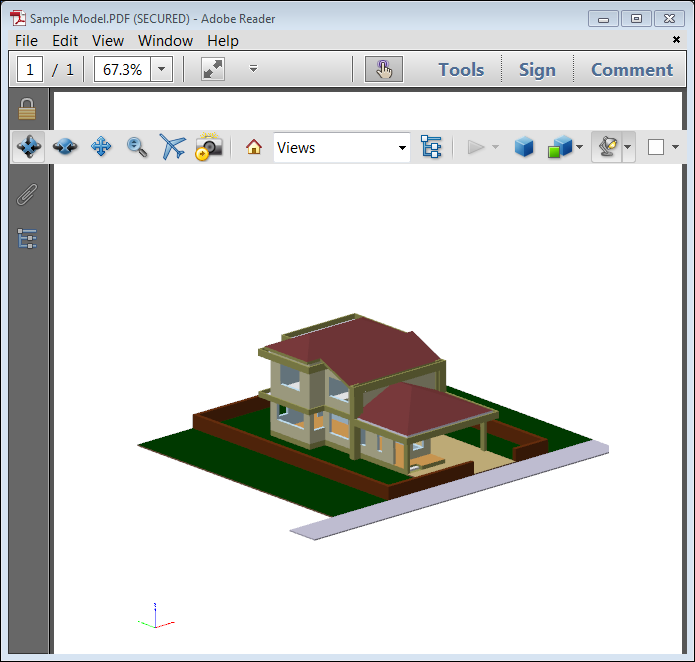 3DPDF Exporter For Autodesk® Revit® exports solid and wire bodies to a 3D PDF file. Supports Revit 2014, 2015, 2016 and 2017. The paid version cost of this product is 149 USD. Feature: Added ability to export Revit Link model. 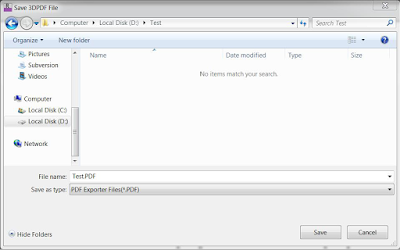 Feature: Option to disable measurement tool in exported 3D PDF. This helps protect your model IP. 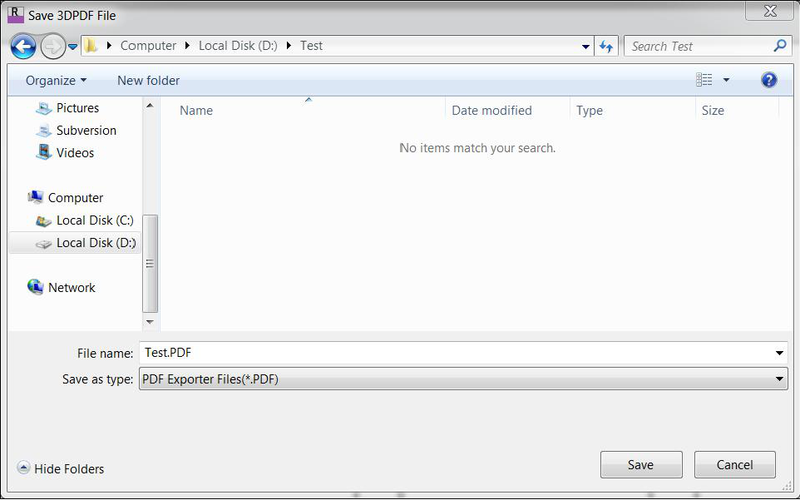 Feature: Option to add external files of any format(e.g. quotation, specs etc.) as attachments in exported 3D PDF. Fixed: Problem of colors not getting exported for some models. Fixed issue with license activation. Added support for hierarchical model tree into PDF. Added export of property information for every element. Fixed: Measurement units now reflect correctly. Fixed: Accuracy of element selection in exported PDF model. Enhanced: Reduction is output file size by magnitudes (by 10+ times). Fixed: Transformation for wire bodies. Added instancing support (reduces exported file size). Fixed: User who have different local settings (e.g. comma character as decimal separator) can now export valid PDF files. Creates encrypted and secured pdf files. The 3DPDF Exporter for Revit add-in is brought to you by ProtoTech Solutions. It's priced at 149.00 USD.